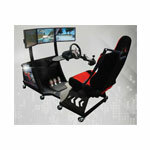 ECA Group is engaged in the design and manufacture of road simulators. 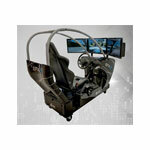 As a pioneer in the simulation industry we offer a wide range of simulators from light to heavy vehicle and motorbikes for both military and civilian applications. 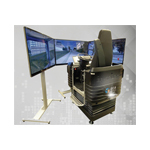 Our considerable expertise in the field of simulation combined with the use of cutting edge technology enables the provision of first class road simulators for initial and advanced driver training. 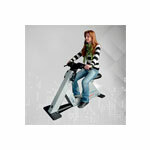 These are aimed at both individual and collective training. 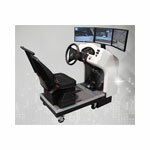 Driving Simulators allow the evaluation of driver responses to new Intelligent Traffic Systems or advanced proactive safety systems. 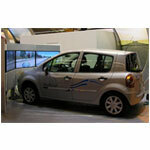 These include electronic vehicle controls, navigational aids, and warning devices. 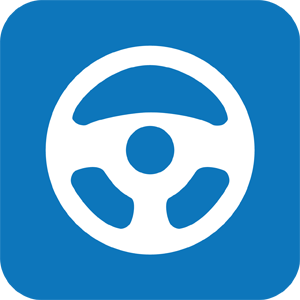 Examples are lane control systems, automatic cruise controls, advanced stability control systems, and vehicle-to-vehicle or highway- to-vehicle communications. Driving Simulators have revolutionised training allowing personnel to train completely safely and to learn how to anticipate and react correctly in critical situations. Ultimately, knowing how to react in a difficult situation is crucial, and even more when riding highly unstable vehicles such as motorbikes. They have been designed to be installed in any location and are lightweight and removable which facilitates installation in a small space. 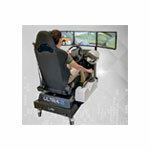 Aimed at all levels of driver, driving simulators have proved an excellent way of providing sound driving training in a wide range of vehicles. 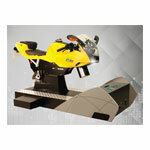 They provide a safe and accurate method of testing driver interactions with new systems without endangering lives or damaging expensive equipment.